The National Council on Black American Affairs, is a council of the American Association of Community Colleges (AACC). The NCBAA evolved over 30 years ago, during a time of great social, political, cultural, and educational change in the United States. African Americans and other groups that were underrepresented traditionally were enrolling in increasing numbers. Community colleges were being established at the rate of one per week. In 1968, an ad hoc Black Caucus was organized during the Annual Convention of AACC, to address the changing needs in higher education. 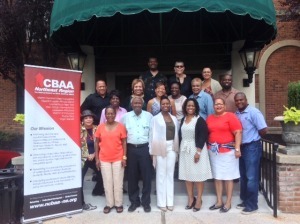 That caucus became the NCBAA – one of the first affiliated councils of AACC. The National Council on Black American Affairs serves as a collaborative voice, promoting the academic success of African American students, faculty, staff and administrators.